The B.M.F. 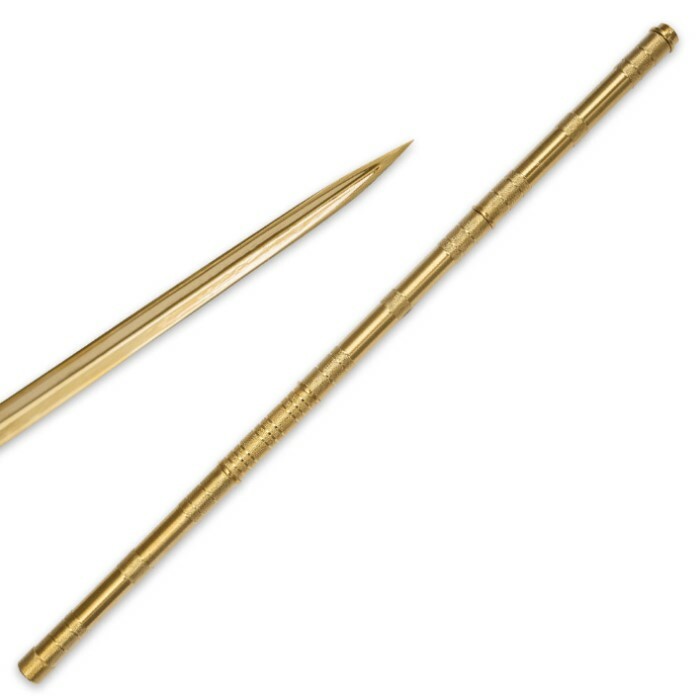 Tri-Edged Gold Heavy Spear is a straight out, no-nonsense piece of equipment. 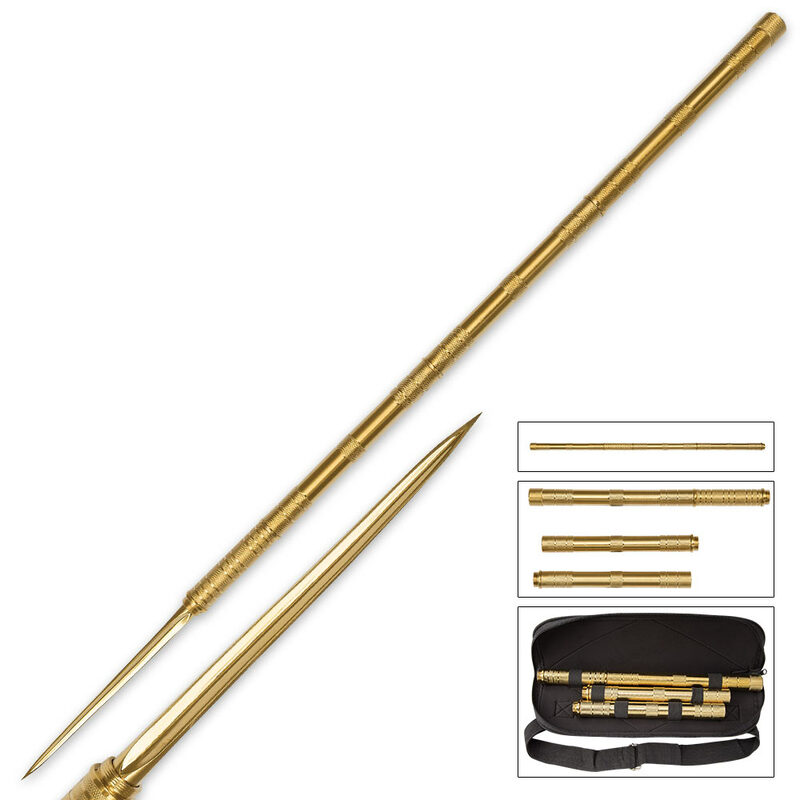 The 10" blade is of cast 2CR13 stainless steel with a gold metallic finish. 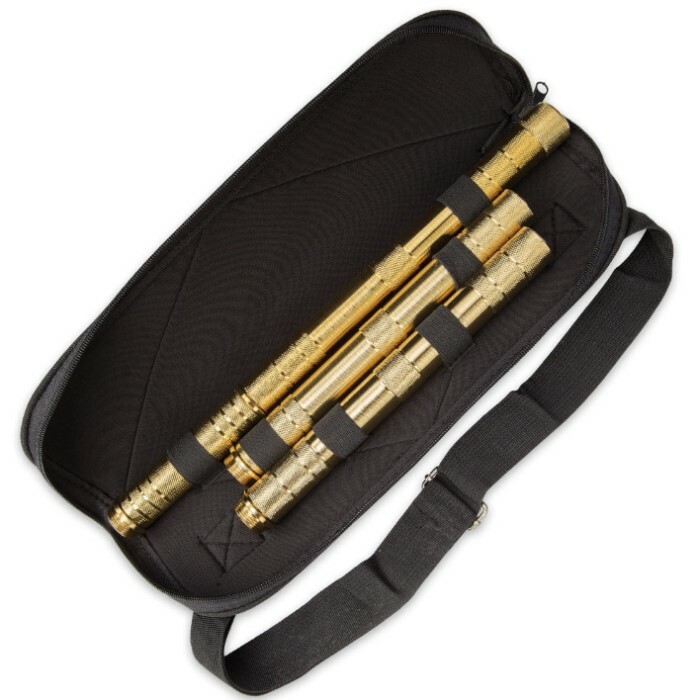 The tube is of impact resistant steel with a gold metallic finish. This spear breaks down in to four pieces and stores in an easy-to-carry zippered nylon bag with a nylon strap.